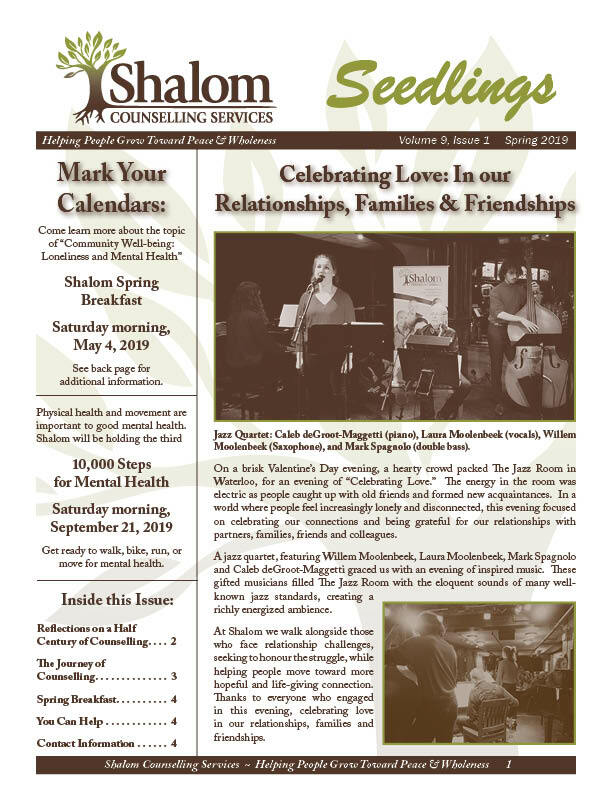 To receive electronic versions of Shalom's newsletters, event updates, and important information please subscribe below. 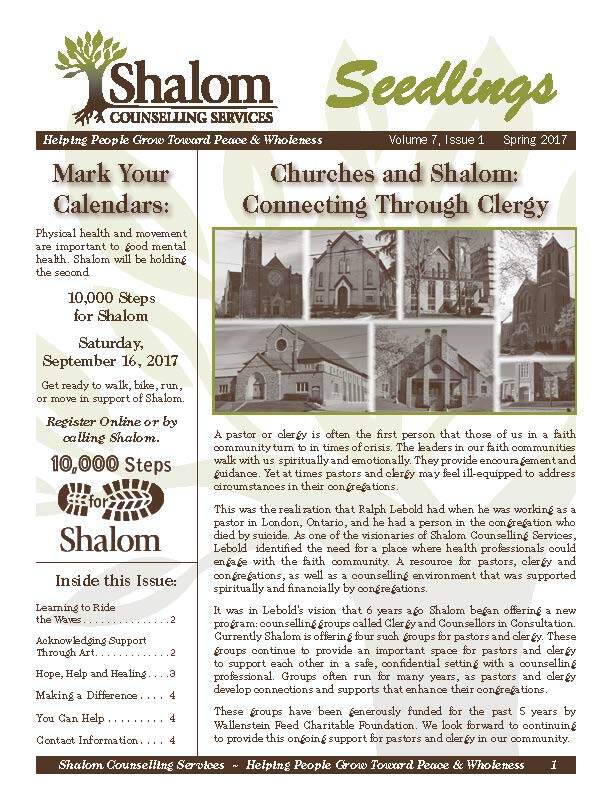 Shalom’s newsletter Seedlings is published twice annually (spring and fall). 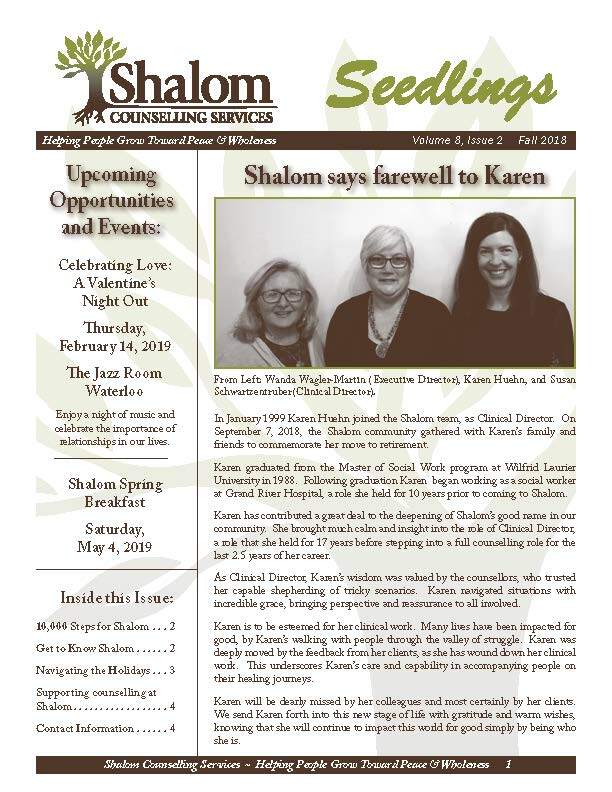 Click here to read the Spring 2019 Seedlings Newsletter. Click here to read the Fall 2018 Seedlings Newsletter. What inspires you about Shalom? Click here to read the Spring 2018 Seedlings Newsletter. Click here to read the Fall 2017 Seedlings Newsletter. Click here to read the Spring 2017 Seedlings Newsletter. Click here to read the Fall 2016 Seedlings Newsletter. 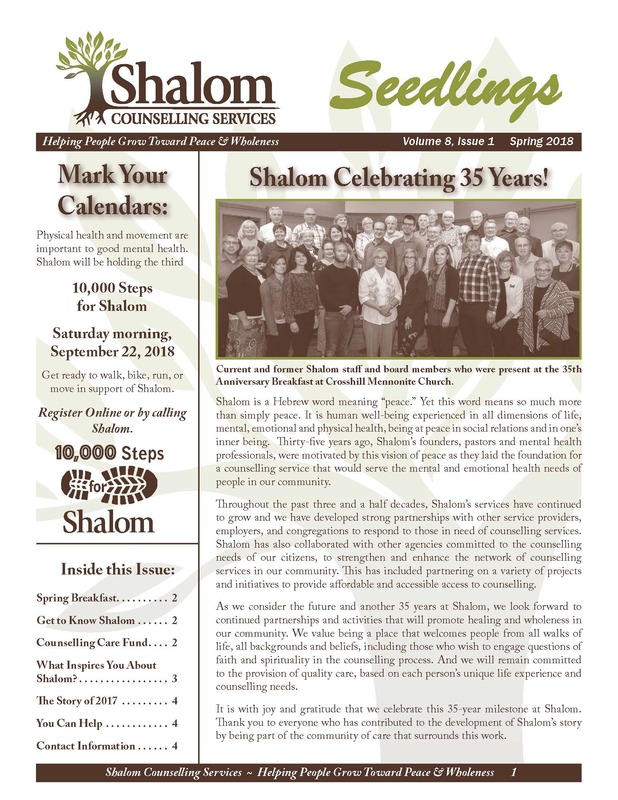 Click here to read the Spring 2016 Seedlings Newsletter. 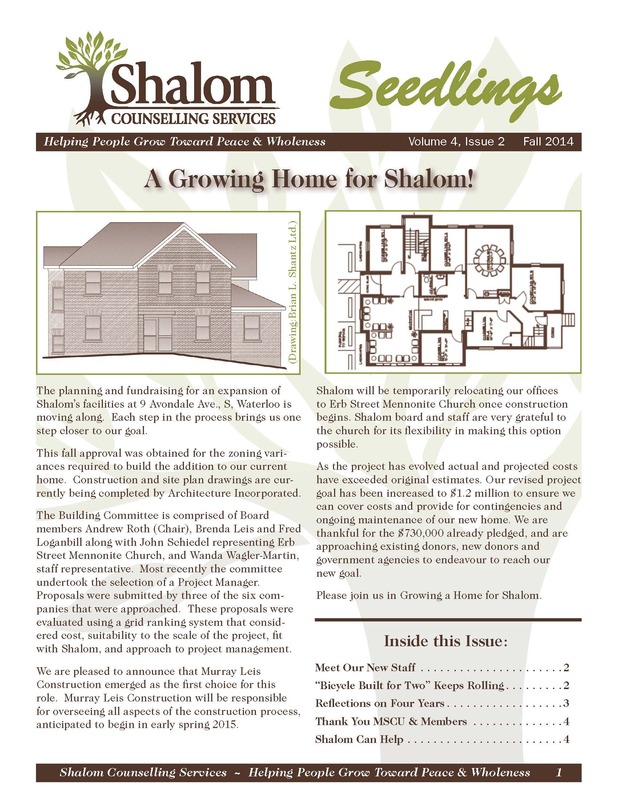 Together we celebrate "A Growing Home for Shalom"
Click here to read the Fall 2015 Seedlings Newsletter. 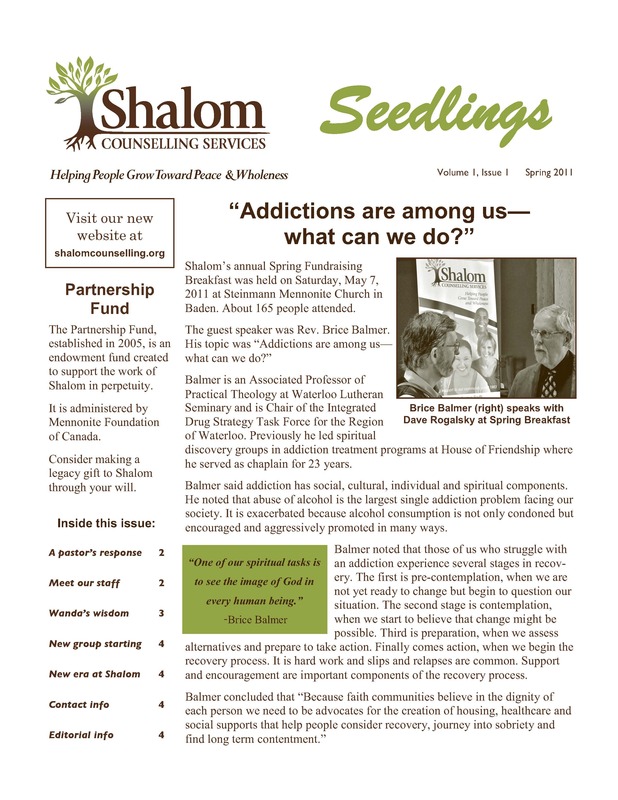 Click here to read the Spring 2015 Seedlings Newsletter. 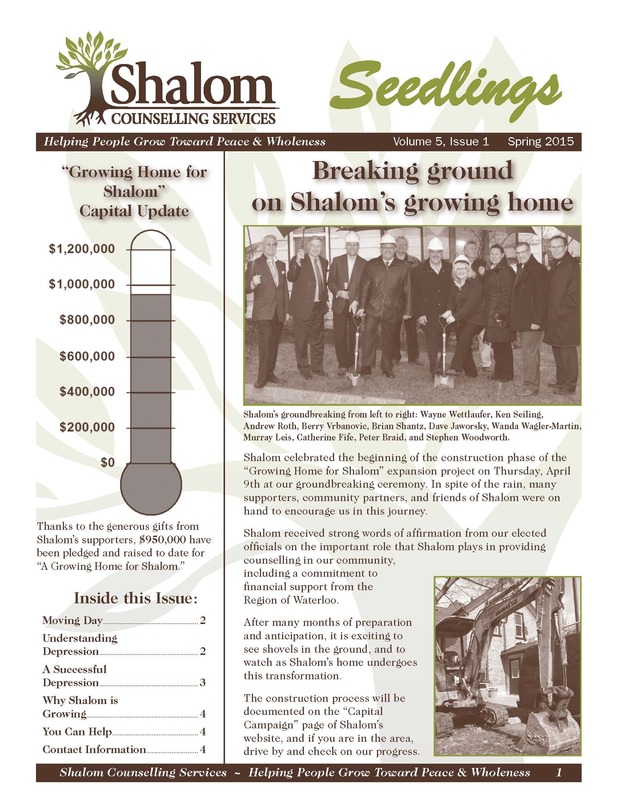 A Growing Home for Shalom! 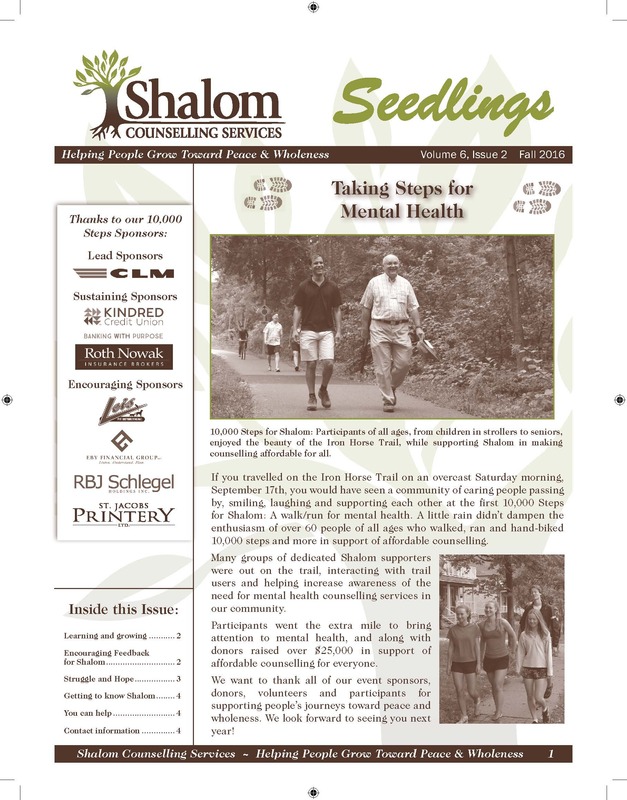 Click here to read the Fall 2014 Seedlings Newsletter. 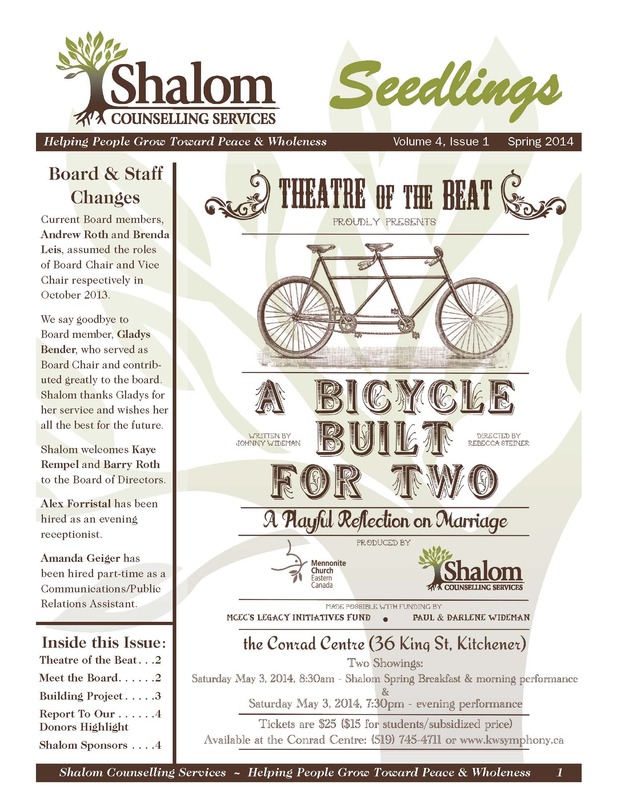 The Background Story: "A Bicycle Built for Two"
"A Growing Home for Shalom"
Click here to read the Spring 2014 Seedlings Newsletter. 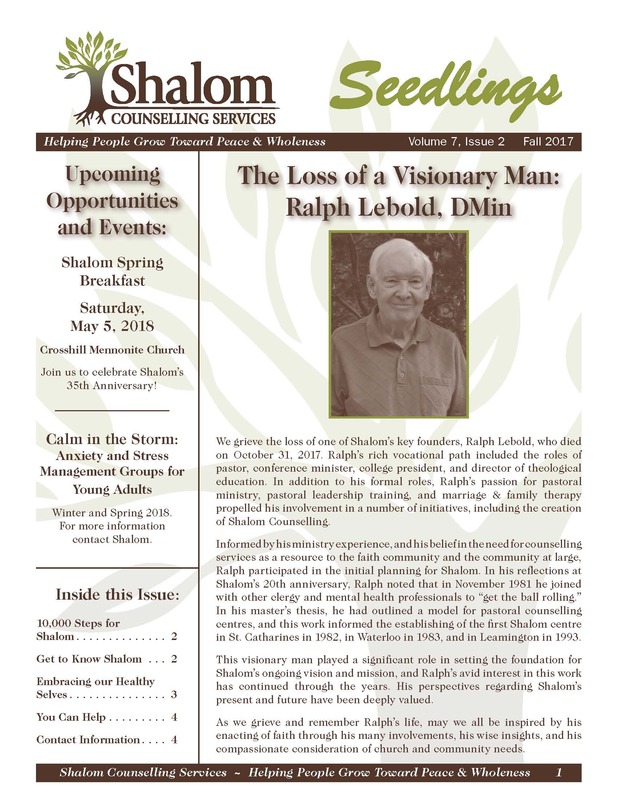 Shalom: What's In A Name? 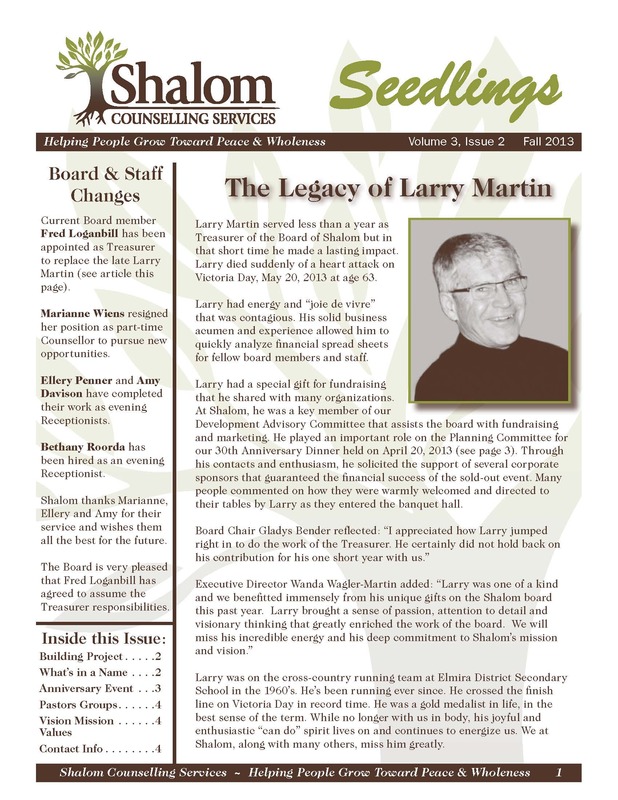 Click here to read the Fall 2013 Seedlings Newsletter. 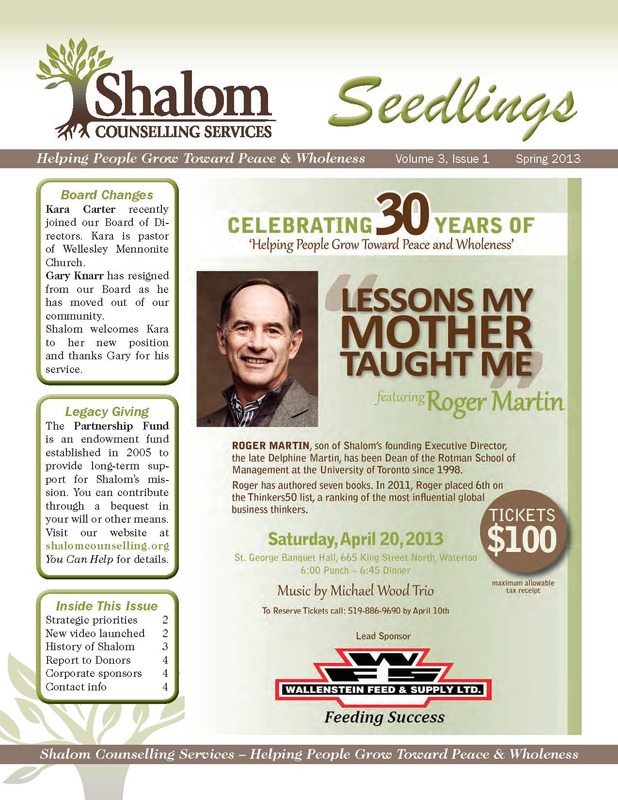 Click here to read the Spring 2013 Seedlings Newsletter. 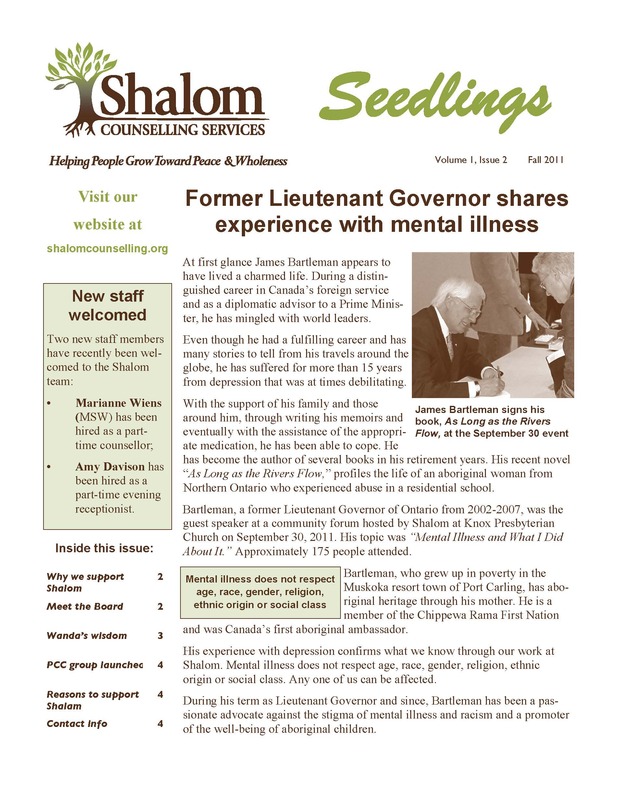 "Mental Illness: The Cost of Doing Nothing"
Click here to read the Fall 2012 Seedlings Newsletter. 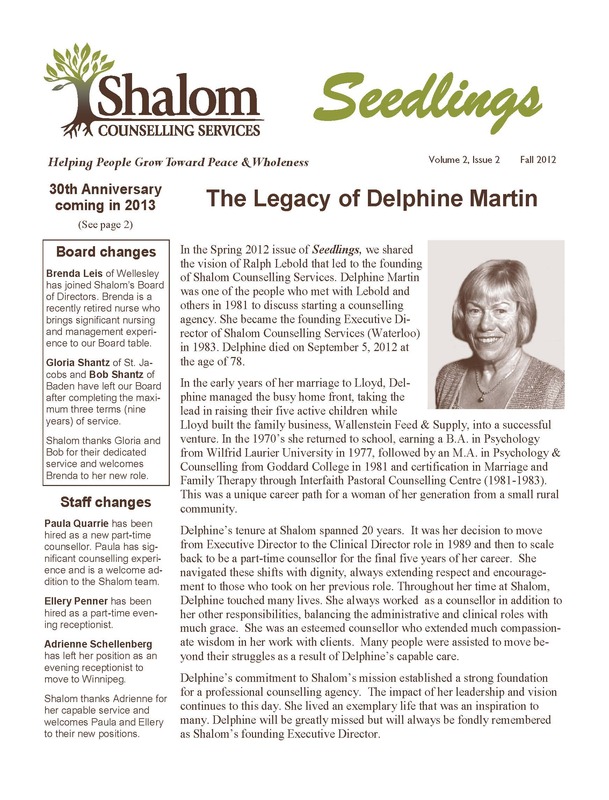 Click here to read the Spring 2012 Seedlings Newsletter. 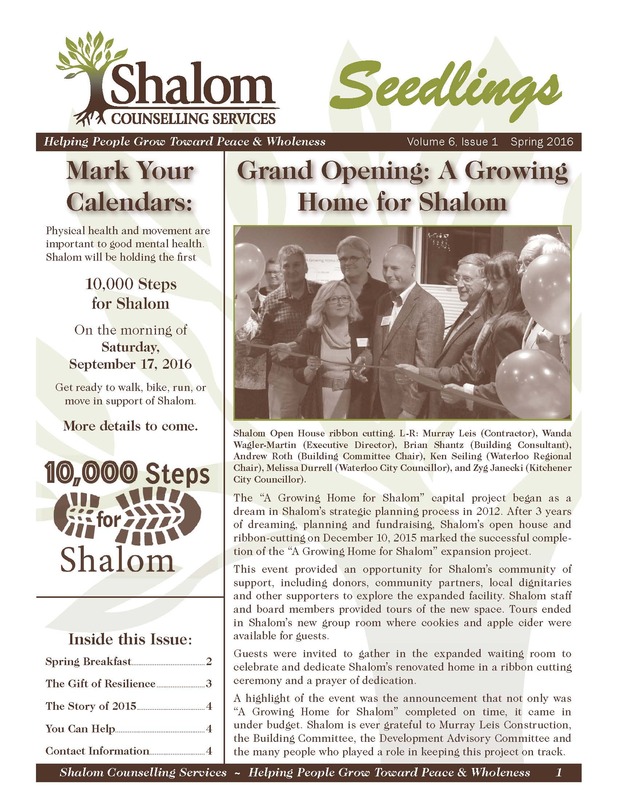 Click here to read the Fall 2011 Seedlings Newsletter. "Addictions are among us - what can we do?" 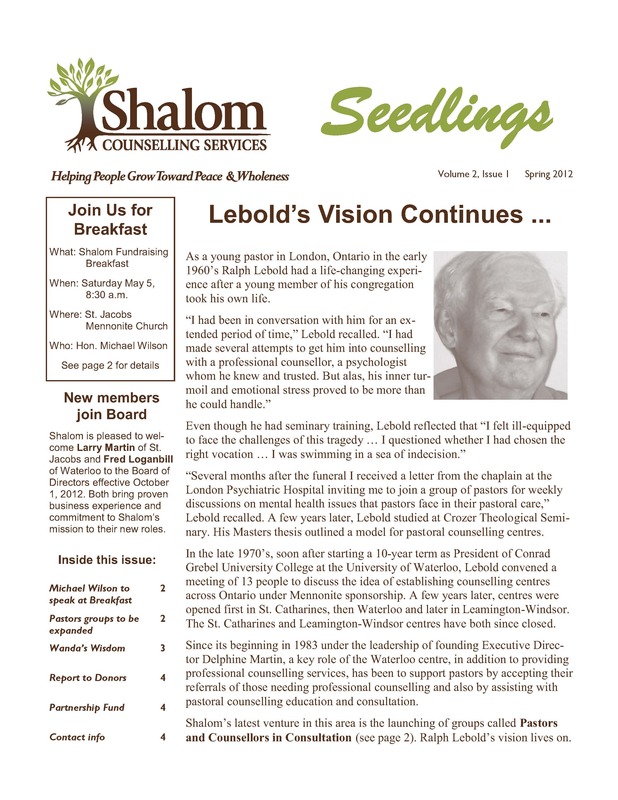 Click here to read the Spring 2011 Seedlings Newsletter.